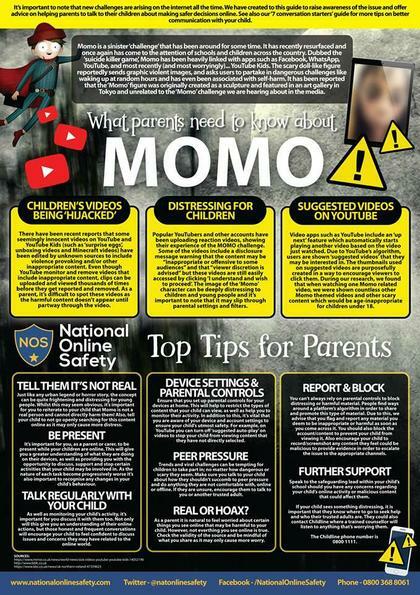 Parents and children have been asking us about the viral trend called 'Momo'. It is important that you enourage your children to talk to you about anything that makes them feel unsafe or unhappy online. The National Online Security team have produced a guide for parents which we hope you find helpful.